Nissan looks all determined to redesign its sedan lineup. The reason behind this statement is their unmatched work and time given to Maxima, Altima and now Sentra. 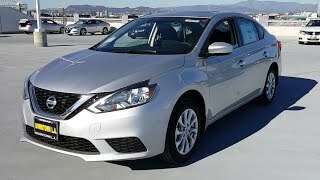 Yes at the 2015 LA Auto Show they unwrapped the all new Nissan Sentra 2016. Adorned with new looks and better features the model is speculated to gain new eyeballs. Let us have a look at the review of Nissan Sentra 2016 to know about it in detail. The interior of Nissan Sentra 2016 is impeccable amalgamation of a sportive and driver-centric detailing. The changes made to the interior include a new LCD flat-panel display featuring infotainment and a new three-spoke luxurious steering wheel. There are new set of power seats mounted in the model while there is another information system present in the instrument panel, so that the driver doesn’t loses sight from road. The higher trim levels of model also get loaded with the Siri Eyes Free connectivity while other features like dual-zone climate control, navigation, NissanConnect infotainment system are standard. The floor-mats come with model name embarked in white adding to the looks. 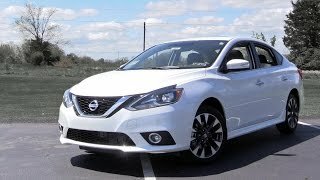 In all the entire interior details of Nissan Sentra 2016 are largely about technology and performance. 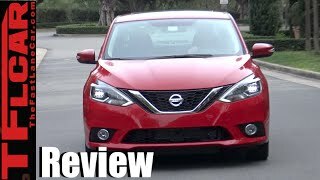 The exterior of Nissan Sentra 2016 gets few new changes that give it more dramatic look. The changes include the hood and narrow grille at the front end of the model while the rear has newly designed boomerang-shaped taillights. Looking through the sides you’ll notice the new 17-inch wheels and the LED lighting to add the luxurious and sportive essence to the model’s looks. Apart from these rests everything remains same. 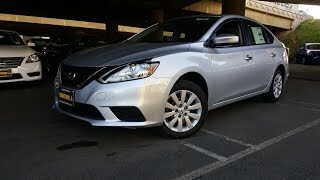 However the changes so included in creating the exterior of Nissan Sentra 2016 give it bit of difference. 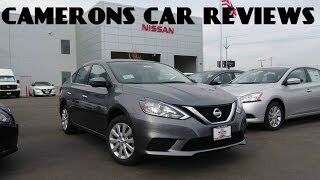 Beneath the hood of Nissan Sentra 2016 is a 1.8 liter four-cylinder engine cranking total output of 130 hp and comes paired to Xtronic transmission with an option to have six-speed manual transmission. The performance figures of Nissan Sentra 2016 are yet to be revealed and we expect to have them in the near future.